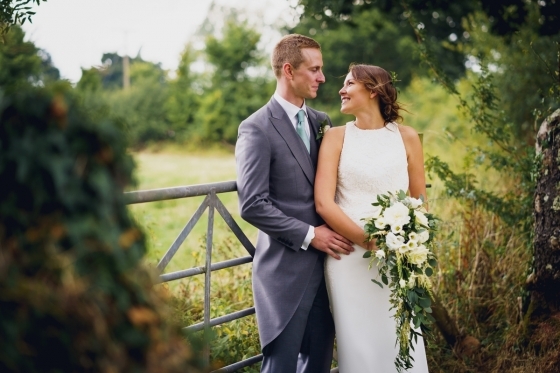 Teen sweethearts Katie and Jack met through school friends and started dating at the tender age of 16. 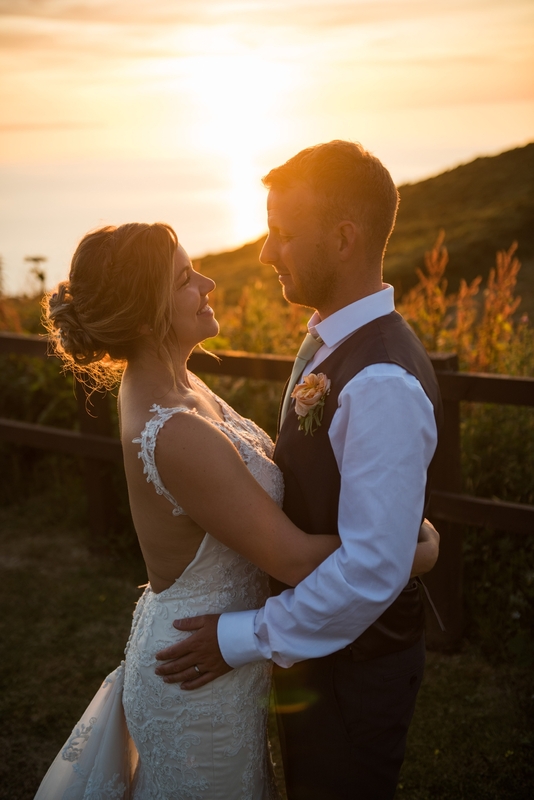 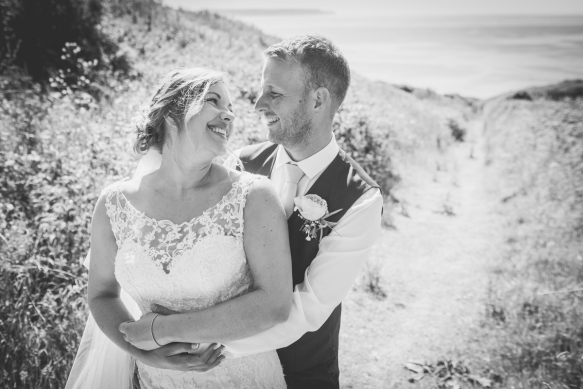 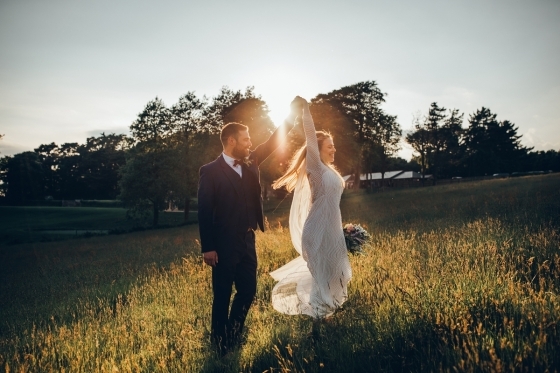 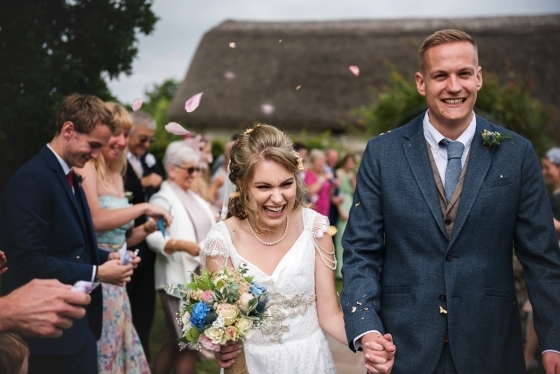 “Ten-and-a-half years later and we finally got married!” says Katie, who became engaged during a memorable camping trip to Croyde. 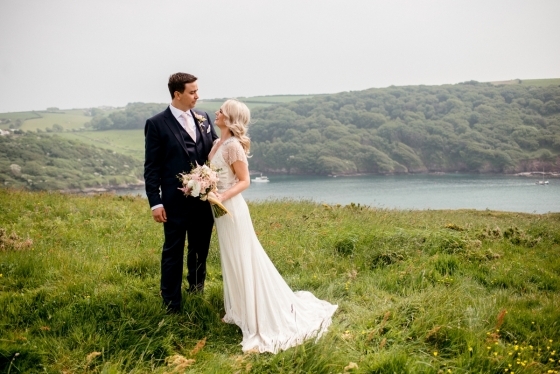 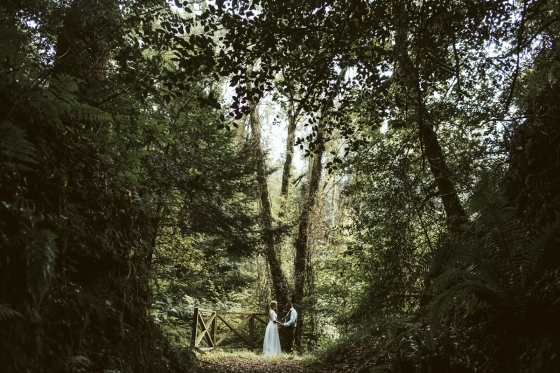 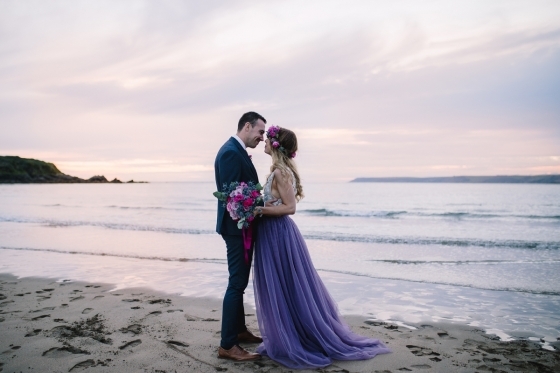 Inspired by her ocean-view proposal, the pair set their hearts on a wedding in Cornwall or Devon and fell instantly in love with one location in particular. 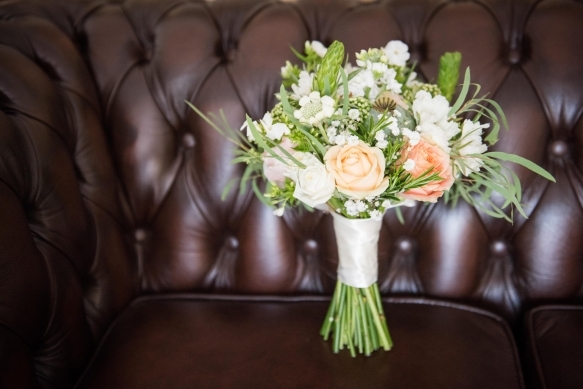 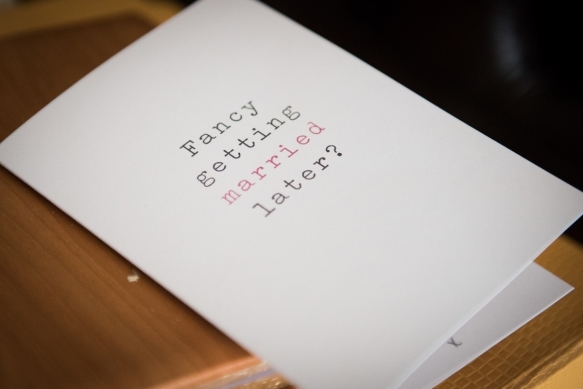 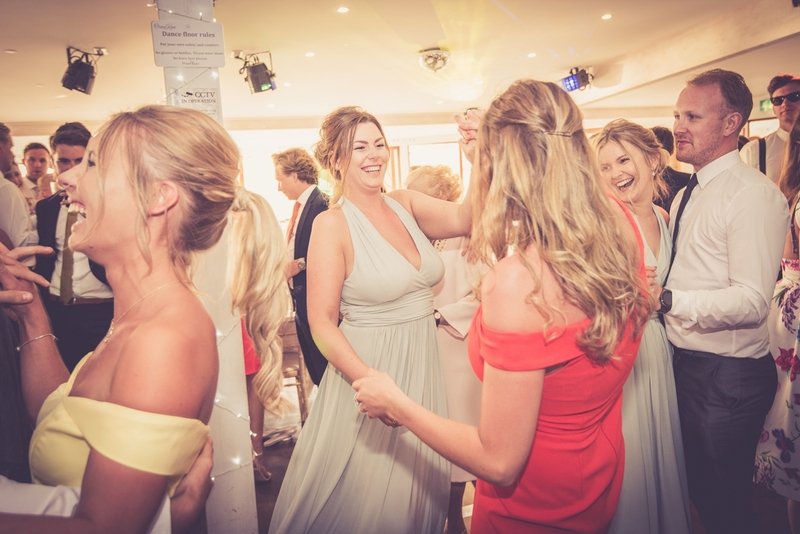 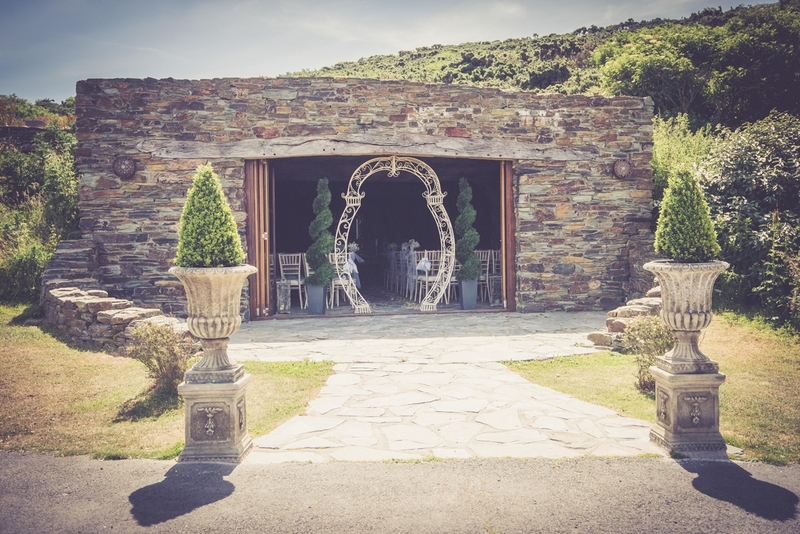 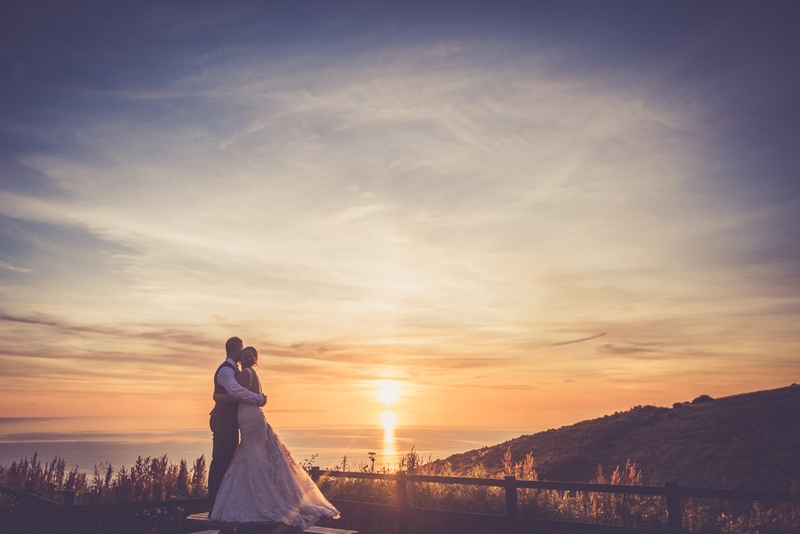 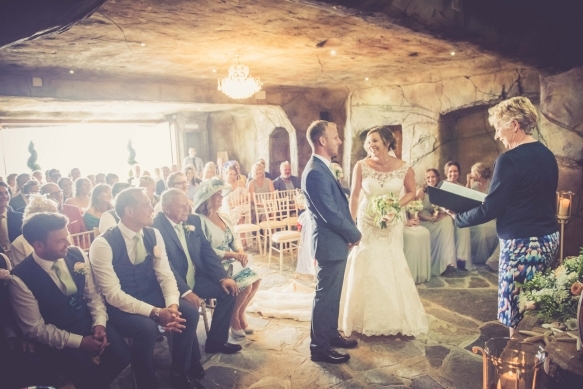 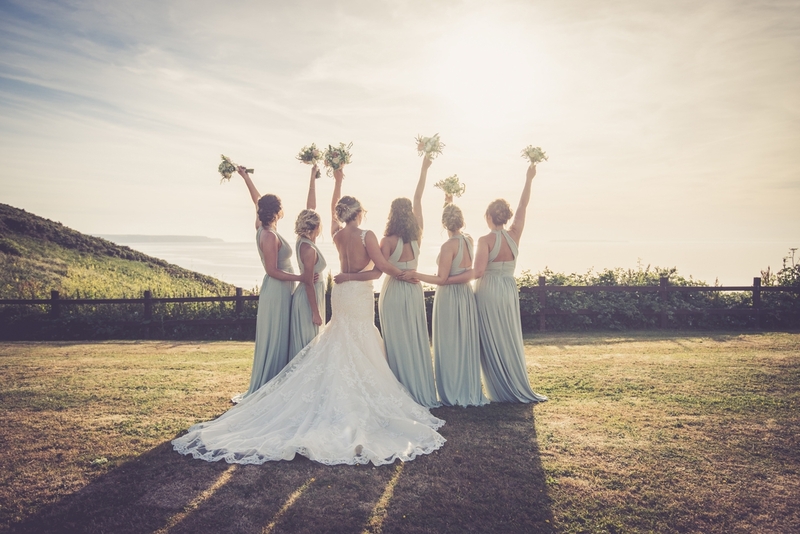 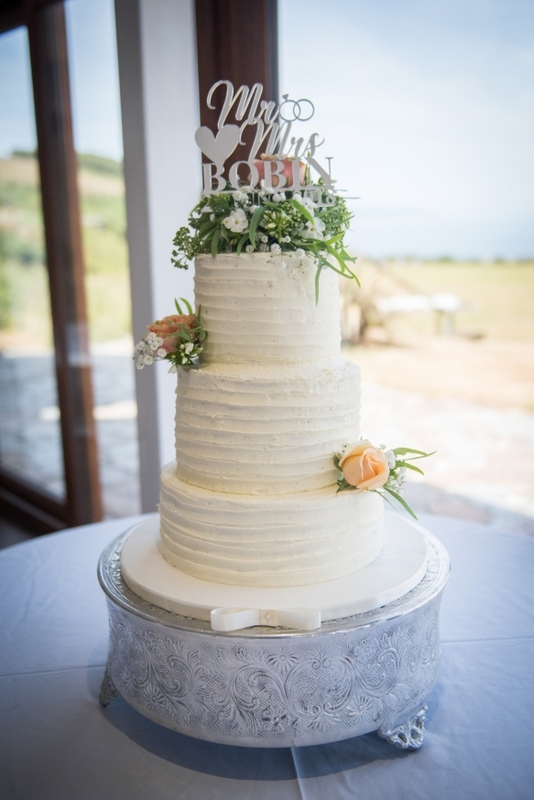 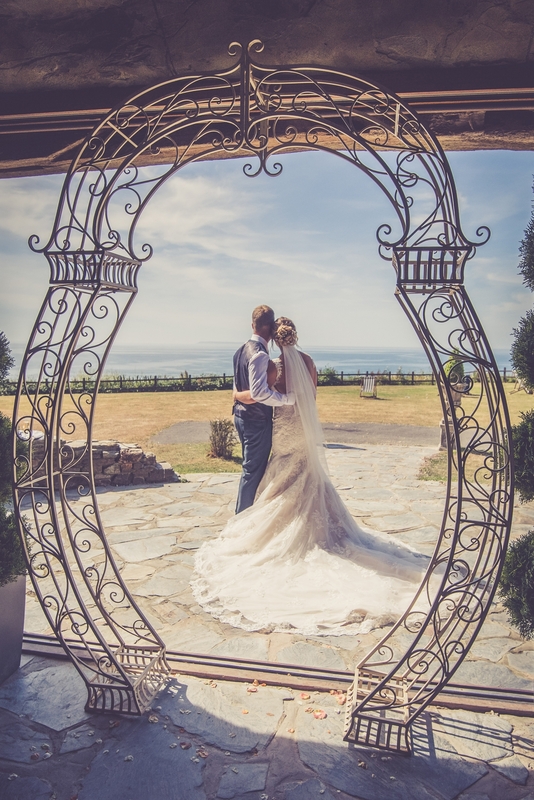 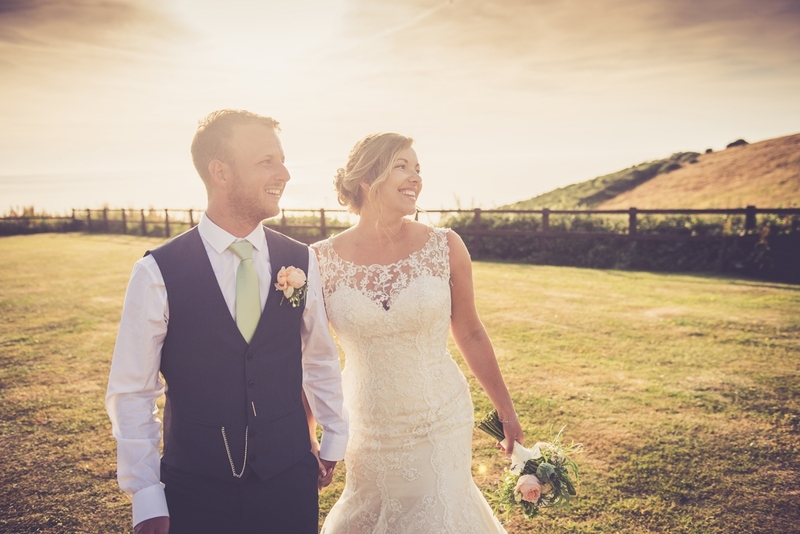 “As soon as we walked into Ocean Kave we knew instantly it was the venue for us. 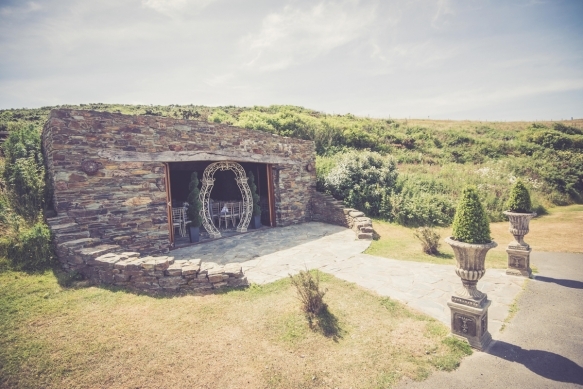 I welled up and could imagine us getting married there straight away. 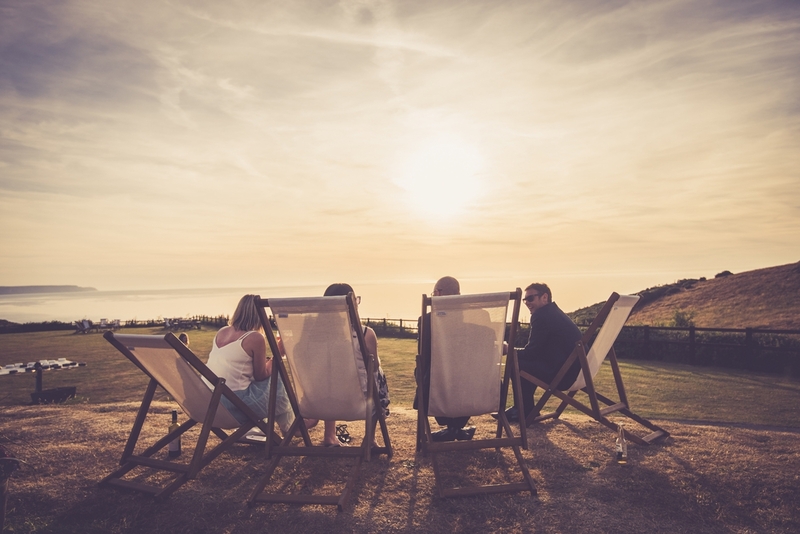 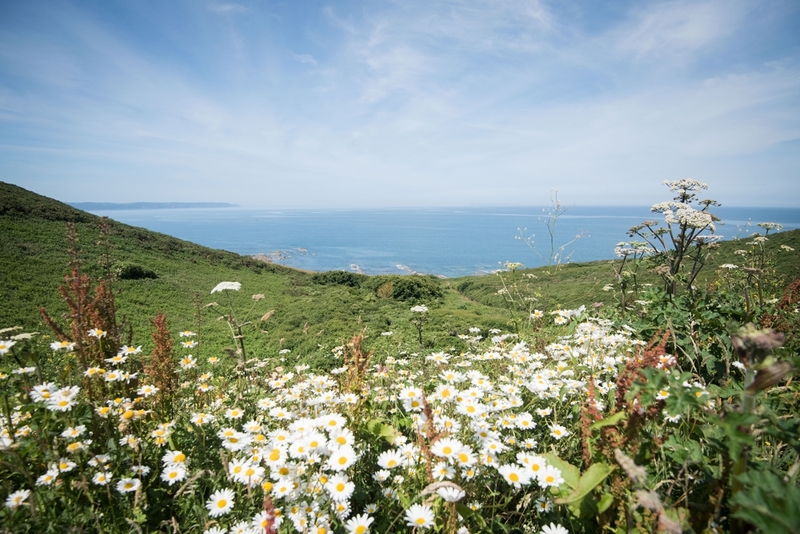 It has the most incredible views of the ocean, as well as the most gorgeous cottages on-site so a lot of our family, who had to travel over six hours to get there, had lovely places to stay,” explains Katie. 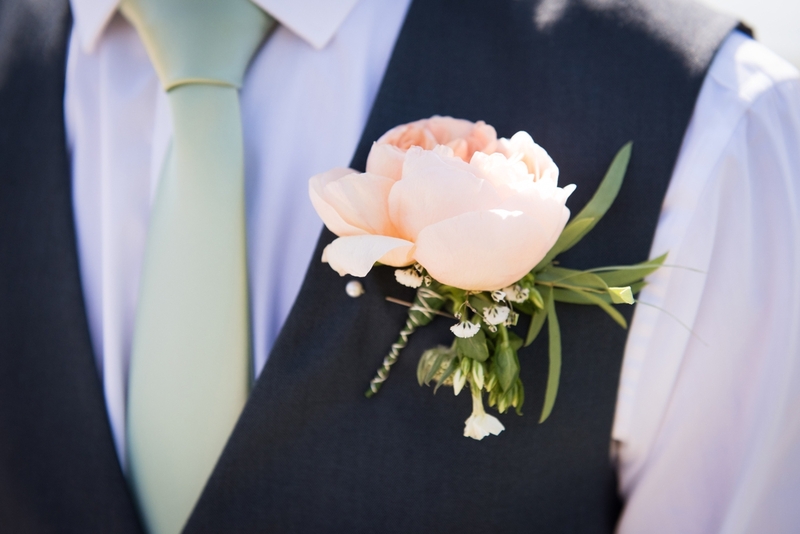 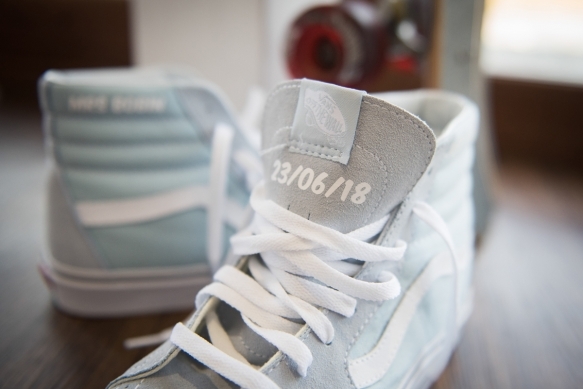 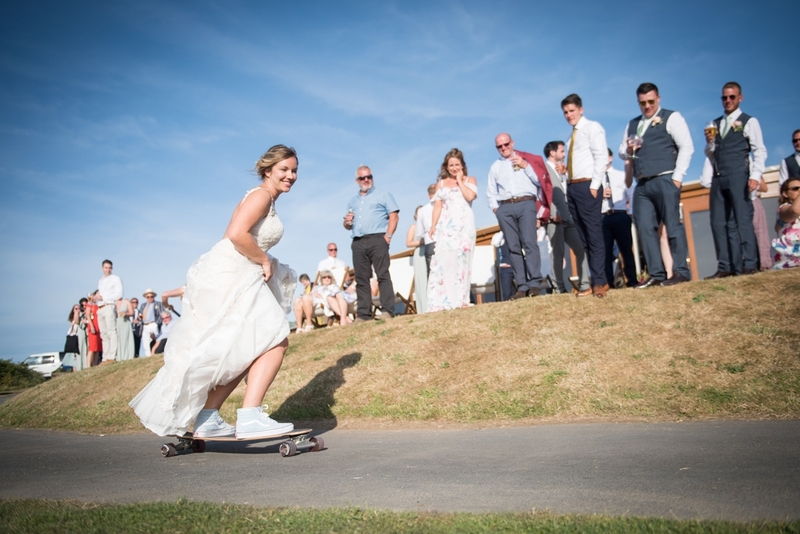 Selecting a theme “to be just like us”, elements of surf and skating combined with a pastel green and peach colour scheme to reflect the couple’s love of the outdoors. 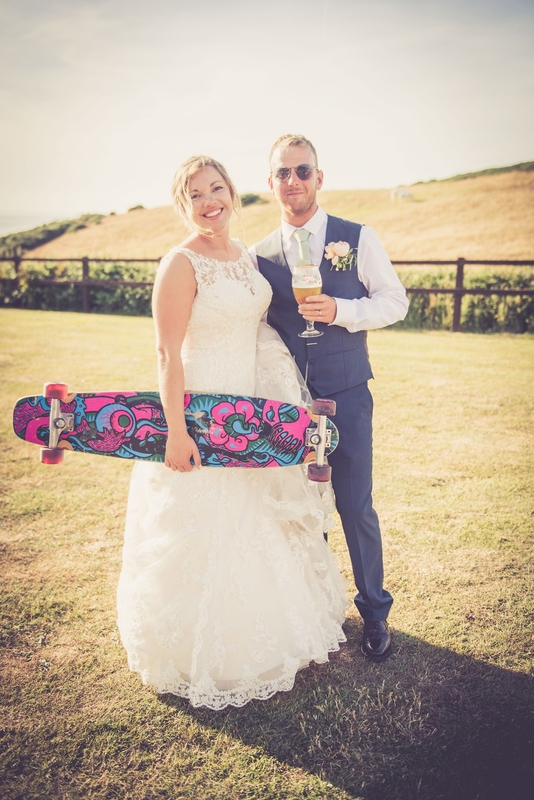 A surfboard served as a guestbook, while skateboards provided oodles of post-ceremony fun. 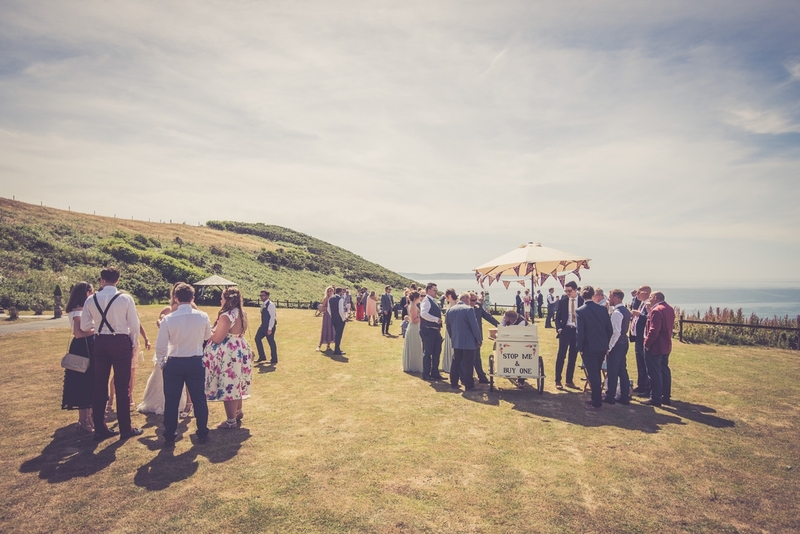 In true summer wedding style, guests tucked into ice creams and Pimm’s on the lawn before a classic barbecue. 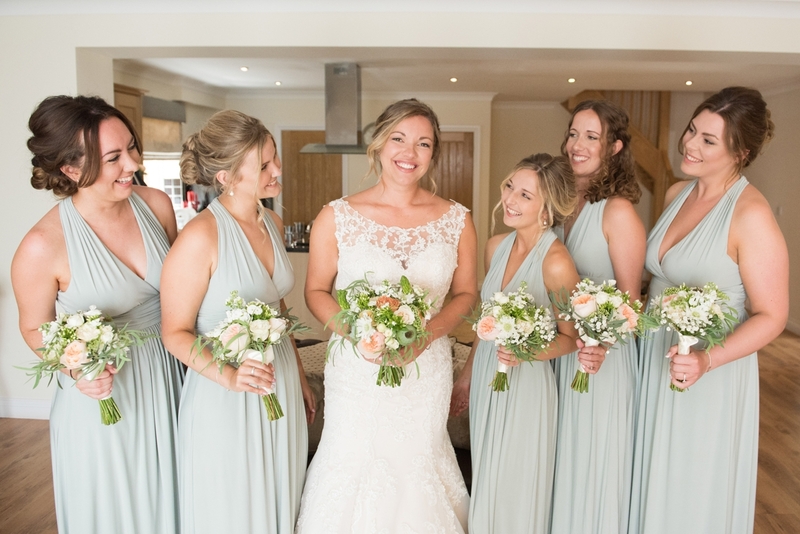 “We loved the relax approach of sharing platters as this encouraged our guests to talk to those they perhaps didn’t already know on their tables!” adds Katie. 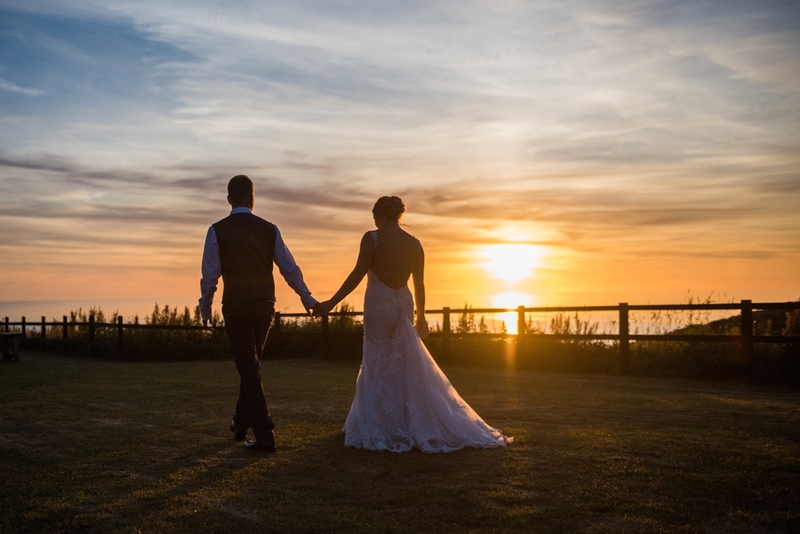 Guests grooved to the up-tempo tunes of three-piece band, California Calling, with the dance floor briefly emptied only by a beautiful sunset: the perfect endnote to Katie and Jack’s seaside affair.